The AIDR team fully endorses ICRC's Data Protection Protocols and UN's Guidelines on Cyber Security. AIDR users should familiarize themselves with both documents and respect international standards on data privacy, security, and protection. Subscribe to aidr-users to receive announcements about the platform. Contact AIDR for inquiries. 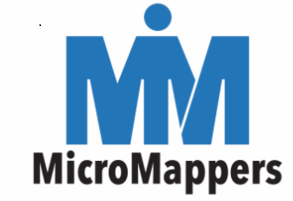 MicroMappers is a joint initiative with the United Nations: humanitarian organizations need your help to make sense of social media generated during disasters. Qatar Computing Research Institute (QCRI) is a national research institute, established in 2010 by Qatar Foundation for Education, Science and Community Development, a private, non-profit organization that is supporting Qatar’s transformation from carbon economy to knowledge economy. The Standby Task Force is a volunteer led and managed network. All Standby Task Force volunteers have equal responsibility for the success of our deployments and our overall mission.